MZDH0670 series zoom Monocular Video Microscope systems have bigger zoom radio 12:1. Attachments are well-found. It can be used with many different magnification CCD adapters, many different magnification objectives, or coaxial illumination, ring illumination. It can carry out various outfits. It has extensive use. Especially suit for digital imaging observing, checking-up and data measuring of electric equipments, LCD, LED etc. MZDH0670 series zoom monocular video microscope systems include the following models: MZDH0670, MZDH0670C, MZDH0670-D(Its shape is similar with MZDH0670), MZDH0670C-D(Its shape is similar with MZDH0670C), MZDH0670C-P, MZDH0670-A, MZDH0670C-A, MZDH0670-AD(Its shape is similar with MZDH0670-A), MZDH0670C-AD(Its shape is similar with MZDH0670C-A), C expresses coaxial illumination. D expresses click-stop at integer magnification in zoom course. P expresses coaxial illumination with polarized module. A expresses objective below the main body with fine adjustment. It can with Nikon, Olympus, Mitsutoyo standard screw thread endless far metallographical lens. 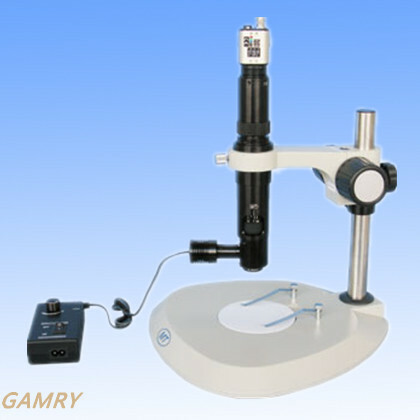 Contact us if you need more details on Microscope. We are ready to answer your questions on packaging, logistics, certification or any other aspects about Monocular Microscope、Video Microscope. If these products fail to match your need, please contact us and we would like to provide relevant information.